Nepal Peace Home is a reconciliation orphanage that provides a safe home and education to the displaced children of Nepal. Nepal Peace Home is funded by CoAction Foundation, a 501(c)(3) organization based in Seattle, Washington, USA. All donations to Nepal Peace Home are processed by CoAction Foundation and are tax deductible to the extent allowed by law. 100% of donations go to work on the ground in Nepal. CoAction is entirely volunteer-run with zero overhead costs. 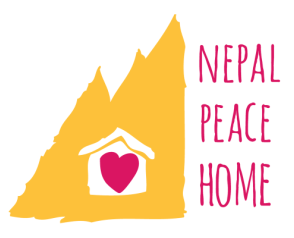 Nepal Peace Home was established in 2008 when a Nepali social worker, Saroj Khanal, recognized the need for a children's center in rural Sarlahi, Nepal. After Nepal's violent Maoist insurgency (the Nepalese Civil War, 1996-2006), many children were left without parents, or with families who could no longer care for them due to loss and poverty. Saroj also saw the emotional destruction of the Civil War. Nepal is a nation that has suffered political abuse, prejudice, and oppression. Saroj did not want to see his hometown or nation continue to fall apart after the war was finally over. Nepal Peace Home was set up as a reconciliation orphanage: children of differing castes, ethnicities, and religions - who would otherwise never associate with one another - were to live together as brothers and sisters. Nepal is a breathtaking country with the potential for success. We do not want Nepal to be known for its injustice, but instead, to be recognized for its ability to pick itself up and rear its children toward a better future. It is a country that values family and community, and dances in the face of struggle. It is a country of hope. We raise the children at Nepal Peace Home with no sense of otherness, but instead, as members of one community, one family, and one world who value love above all else. Please join us in our efforts to preserve the love, innocence, and peace of Nepal's youth.